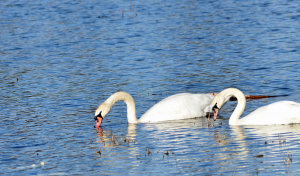 Observation - Mute Swans - UK and Ireland. Description: Yes, the loch was that blue. Beautiful sunshine but still cold. Yes, the loch was that blue. Beautiful sunshine but still cold.